For the past few years, WHS Agricultural Education worked tirelessly to promote vegetable gardening at the school and in the community. Through the FFA, WHS has donated nearly 2 tons of vegetables and eggs to the local community through the Interfaith Food Shuttle and other avenues. In 2015, Wakefield High School embarked on a partnership with the elementary school at Wakefield. Once, where there was a set of trailers is now transforming into a garden. 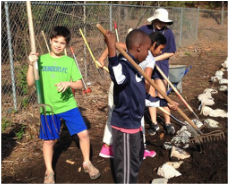 High school and elementary school students collaborated to design the garden. In 2015, the space's soil was amended and refurbished to better health. 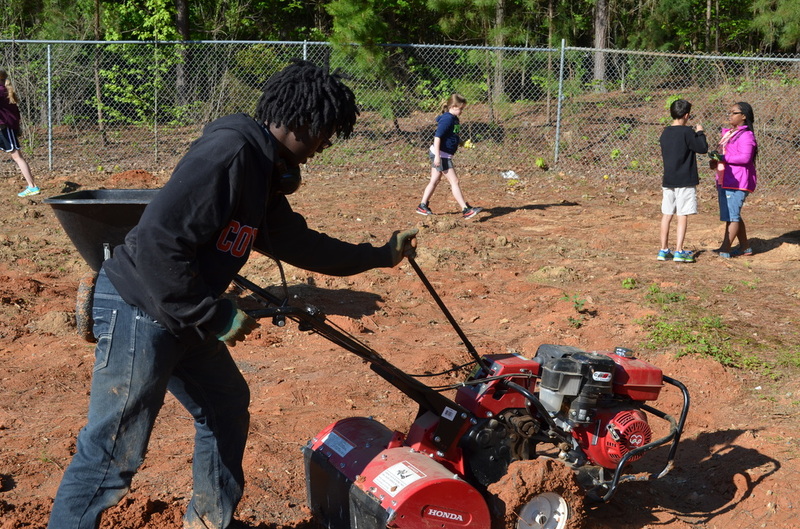 Now, students have begun to install a series of raised beds for each grade, four raised bed gardens for differently abled students, and a demonstration garden space for high school students. The gardens focus on sustainable production of edibles and ornamentals, many of which are native and of historical importance to North Carolina. Together, the schools hope to teach students about cultivation and nutrition. Horticulture 2 students partnered with Wakefield Elementary School Student Garden Ambassadors to create idea boards and create amazing garden spaces. Advanced Studies students and Horticulture 2 students worked with WES Eagles to install the garden in the spring of 2016. Every month, the WHS students go down and work with WES students to teach them about gardening and nutrition. In February, students were taught how to sow radish seeds, a bit about their nutritional benefit, and then students learned how to pickle radishes. Every student was sent home with a bag of pickled radishes and a recipe for their families. Nutrition in their backpacks for the weekend is a great way to end a Friday. Funded by the National FFA Organization via the Food For All grant. Thank you to NC Beautiful and the Windows of Opportunity Grant, funding provided by the Coastal Federal Credit Union.